Lyrica (Pregabalin) ((S)-3-(aminomethyl)-5-methylhexanoic acid) was approved in 2007 by the U.S. Food and Drug Administration for the treatment of fibromyalgia. Until then, Pregabalin was used to treat diabetic peripheral neuropathy, post-herpetic neuralgia, and as an additional therapy for adults with partial onset seizures. Lyrica's mode of action is not known. It is thought to work by binding to calcium channels found on nerve cells in the brain and spinal cord. This reduces the release of various neurotransmitters from these nerve cells. The effectiveness of Lyrica (300 or 450 mg/day) for treating fibromyalgia was established by two clinical trials involving 1,800 people. Lower doses (e.g. 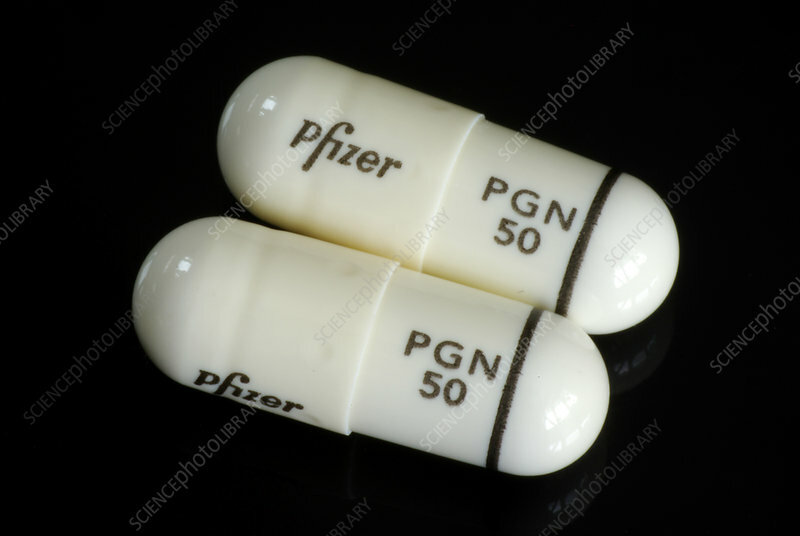 50 mg as shown) have been used to treat severe neuropathic pain. While it may be a very beneficial drug for some patients with fibromyalgia, precautions for safe use must be followed because there are many adverse side effects.